The Waveshuttle 56 model under Utility series is categorised as a luxury passenger transport vessel and is available in both Ferry and VIP versions. 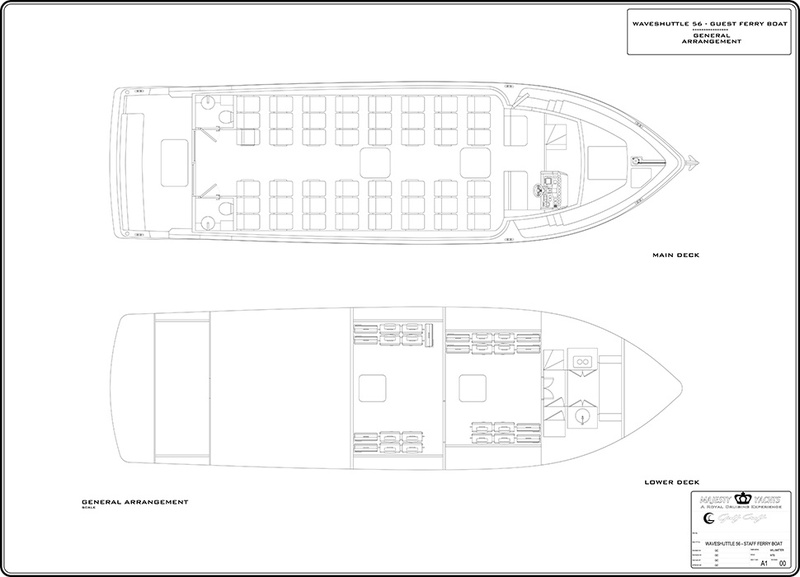 In the VIP design layout, a stylish sofa with the seating capacity of 25 people is available in the main deck, while luggage compartments are accessible in the lower deck of the boat. For a luxurious experience, a pantry is also available for use in on-board catering. In general, the Waveshuttle 56 can be operated as a ferry boat that can accommodate up to 48 passengers in a forward-facing configuration.